This Designer Aari Stitch saree is rich in colour and texture. Designer Aari Stitch Sarees are loved by women for its unique embroidery pattern. This Designer Aari Stitch nicely done on Pure Silk saree which is soft and light weight. 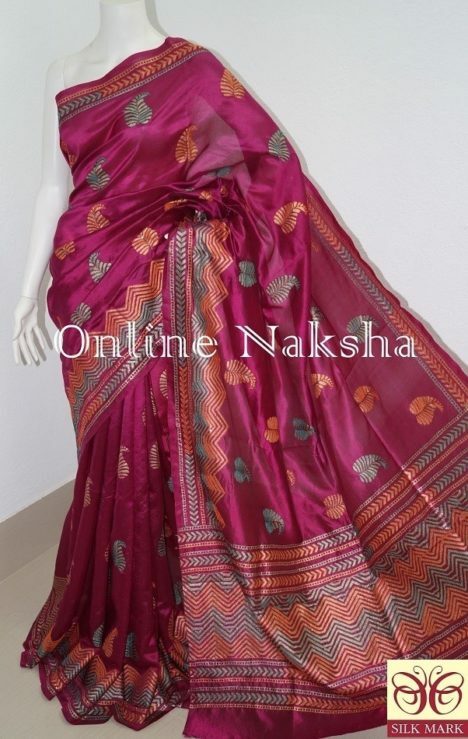 Buy Designer Aari Stitch sarees from Online Naksha at best price and select from various designs and colors.